An 80s website just wouldn't be complete without a page about this iconic movie, would it? 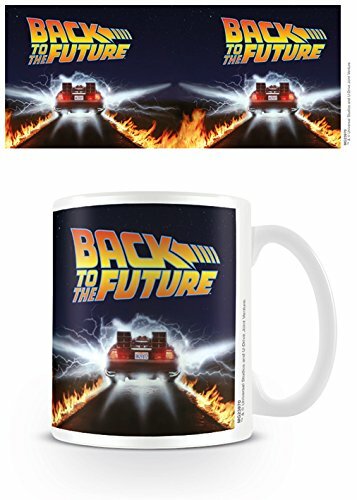 Firstly, the video clip above shows the original 80s trailer for Back To The Future - I still remember the excitement and anticipation I felt from viewing all of the ads and trailers, and this was one movie I was not going to miss! Starring Michael J. 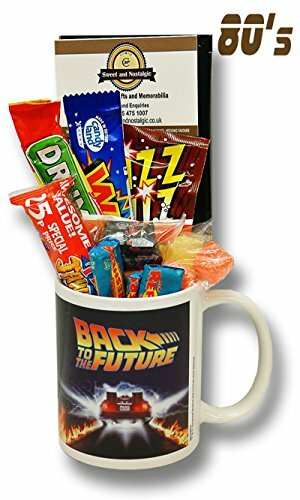 Fox as 17 year old teenager Marty McFly, the main plot of Back To The Future revolves around a teenager accidentally being sent back to the 1950s in a time machine using a modified DeLorean DMC-12 car. Marty McFly has a rather depressing life. His Mother (Lorraine) is an alcoholic, his Father (George) is being bullied at work by his supervisor (Biff) and his rock band can't even get an audition to perform at the high school dance. Nonetheless, McFly's girlfriend (Jennifer) gives him much encouragement and desperately wants him to fulfill his dreams of becoming a rock star. However, Marty soon finds that there is little time to be depressed after he is invited to a deserted shopping centre by his mad scientist friend Dr. Emmett "Doc" Brown. Doc reveals a time machine made from a Delorean car that is powered by plutonium. Unfortunately, Doc stole the plutonium off some rather nasty Libyan terrorists and they suddenly turn-up and shoot him. 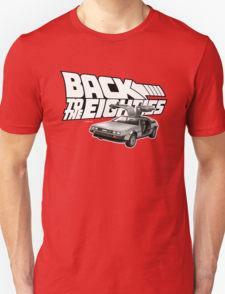 Marty tries to flee from the situation in the Delorean, but inadvertently triggers the time machine. He is transported back to November 5th 1955, but without any plutonium to make the return trip. 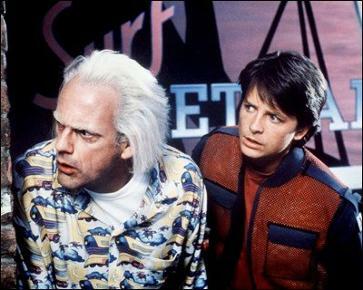 While checking out his hometown (Hill Valley), Marty stumbles upon his father who is being bullied by Biff. Suddenly, his future Grandad comes hurtling toward his father in his car and Marty quickly pushes him out of the way, saving his life in the process. Unfortunately, following his heroic actions, his future Mum starts falling in love with him. Marty is deeply disturbed by this and desperately starts searching for Doc. 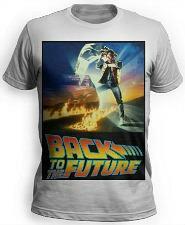 After finding the younger Doc, he eventually convinces him that he is from the future and needs to be returned to 1985. Doc explains that the only source to power the Delorean would be a lightning bolt. Doc then reads the flyer that Marty received in 1985 which is headlined "Save The Clock Tower" which states that there will be a lightning strike on the Courthouse Clock Tower the following Saturday at 10.04 pm. Plans are made to harness the lightning to power the flux capacitor in the Delorean. Meanwhile, Marty is still desperately trying to get his future parents to fall in love (providing some of the funniest moments in the movie) and he eventually succeeds. On the night of the forthcoming lightning strike, Doc and Marty are preparing to capture the power of the lightning strike when a tree branch falls onto the wiring set-up, complicating matters further. Marty shows Doc a letter from 1985 to warn him that he will be shot and murdered by the Libyan terrorists, but he tears it up as he doesn't want to alter the future. 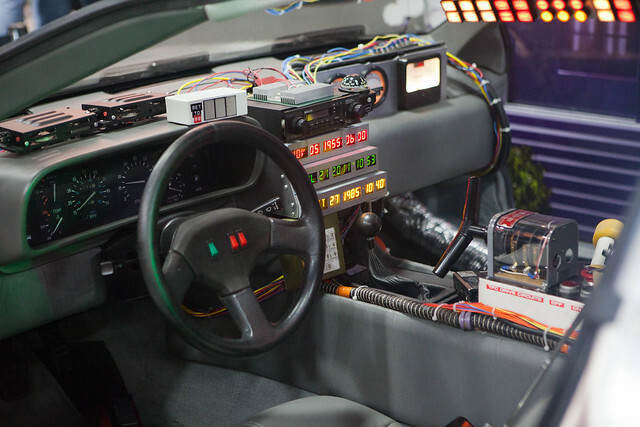 Eventually, Doc manages to repair the wiring just in time sending Marty back to 1985. When he arrives he finds that Doc has already been shot, but finds him still alive. It turns out that Doc had read the letter anyway and was wearing a bulletproof vest - that's a great little twist! 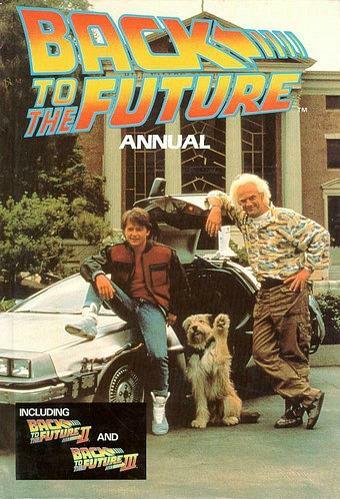 The final part of the film sees Doc drop off Marty and then travel to 2015, which also happens to be the 30th anniversary of the film release. Marty wakes up the next day to find his family is very much different. His mum is no longer an alcoholic and his dad is a confident and successful sci-fi author. 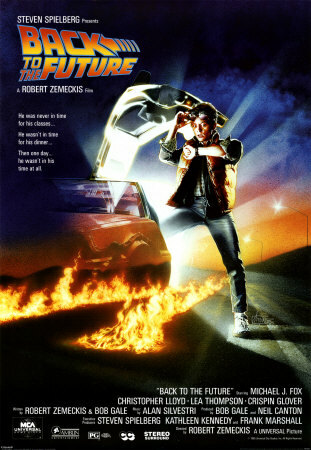 Marty reunites with his girlfriend Jennifer, and then Doc arrives back from the future and asks them both to travel with him back to the future to sort out a problem with their future children. The Delorean has become a hover car and is powered by nuclear fusion. 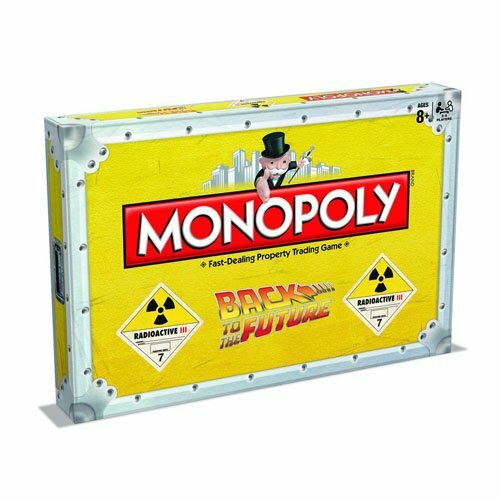 Back To The Future is an entertaining, fast-paced sci-fi adventure with a clever plot and many hilarious moments. Most definitely one of the most enjoyable and iconic films of the 80s, and this is the movie that made a big star of Michael J. Fox - and deservingly so. 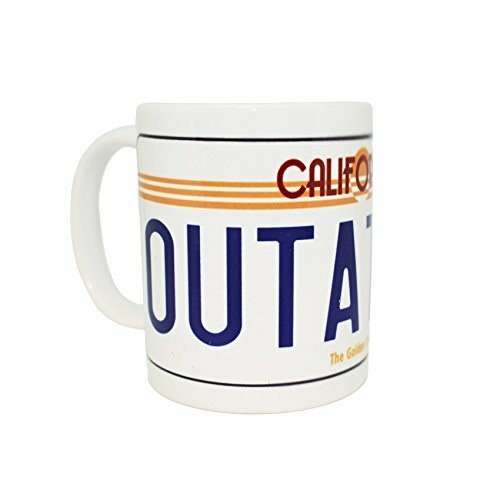 Disclosure: Simplyeighties,com is a participant in the Amazon Associates and Redbubble affiliate programs. These enable us to earn fees from linking to products on their websites.